The holes are well spread over the landscape and this is a feature of the course, making the player feel like he is completely surrounded by nature. The stone walls typical of the area, glimpses of which can be seen next to many of the holes, complement the course’s features. Few sand obstacles along the tree-lined fairways, insidious greens well defended by deep bunkers close to the putting surface. Each successive hole is very different, requiring new golfing solutions and strategies. 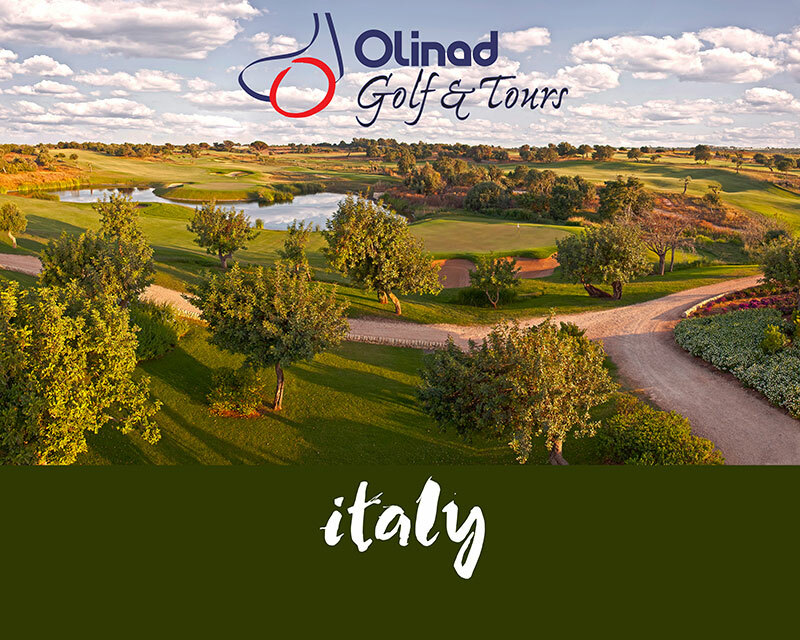 The 18 holes give onto an archaeological site and one hundred metres from hole 6 you can visit a 6th century B.C. Greek necropolis which is part of the property. A “wet” zone between holes 2 and 3 provides a stopover for animals and birds while two lakes frame the last few holes. Holes 9 and 18 have their greens next to the Resort and form a natural amphitheatre in which the suites, the Clubhouse with swimming pool and the SPA sit side by side.